There is no point in denying it anymore: My favorite coat is dying. I made it way back in November 2009, in the first year I had this blog. As such, it was one of the earliest projects to receive the full blogging treatment with posts about the plans for it, the muslin, the construction and the final result (weirdly, that construction posts still gets a lot of hits. Probably by people who googled 'sewing secrets'…). And ever since, it has been my most worn winter coat. While the fabric is not particularly thick and warm, the shape really makes up for that. The loose body with the deep-set sleeves allows me to wear just about anything under it. The generous overlap and tapered body and sleeves are great for keeping out the chill and that small V-neck can quite easily and efficiently be closed off with a scarf. Its length makes it ideal for both cycling and driving. And it looks great with any trouser shape I ever wear and with slim skirts as well. 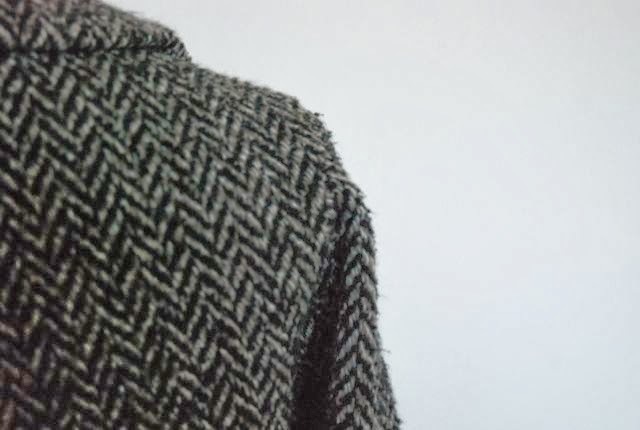 Over a year ago, I already noticed the pilling of the fabric (a rather loosely woven herringbone tweed, so it was never going to be the most durable) in some places. 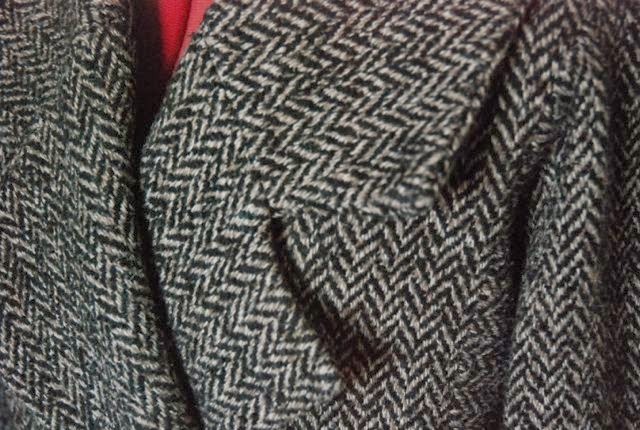 However, I ignored it, deciding that it's OK for tweed to look a bit rough. I also noticed how the points of the collar were getting bent. It's no surprise really, I cycled a lot in this coat and when I stretch my arms forward, I push against those tips of the collar. And than, the pocket welts started to sag just the tiniest bit, and the bottom edge was really the only mistake I made with the pattern. It should have been a tiny bit wider and have a hidden closure. Now, with more and more wear, it was showing more and more. And then, at the beginning of this winter, I noticed a big tear in the lining. I've a new lining for E's coat once but that still looked fine on the outside. It seemed like to much trouble for coat which was, if I was honest, already on the way out. And yet, I kept wearing it. For all the practical reasons but also because I've just grown very fond of this coat. I was the first wide, loose coat I made and even one of the first loose garments. A real change in silhouette, a diversification really. It just suits me. It's a coat like a warm embrace. A hug and a place to hide when I'm feeling low. A protective cocoon and a statement of confidence at the same time. Why not make the same pattern again? Do you have a fabric in your stash that will work with this cut? If a design works for you, go with it! 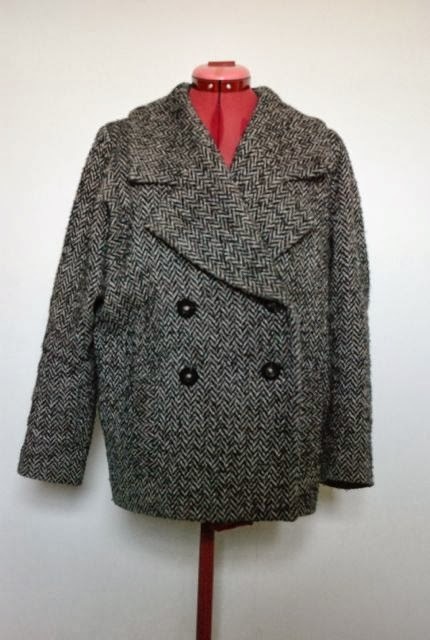 Why not keep the body shape and tweak the collar/sleeves for a new version of your favorite coat? It's a cute shape and it fits you so a lot of work is already done. Wow I love this jacket! Did you draft the pattern yourself? It reminds me a bit of the loose style of the Gerard. You should consider publishing this pattern, it is so stylish! Isn't one of the major advantages of sewing the fact that you can make whatever & exactly what you want? And especially, you can remake anything! What is more, you have even already made this one, so you know you can do it and that the project is not above your head; better yet, you will improve on all its weak points this time! My winter coat is dying too. It is sad. I didn't sew mine, but I'm still quite attached. Make another one! Since all the hard work is done already, it should sew up pretty quickly! You should definitely make another one!